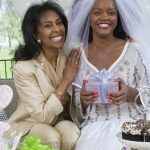 AskCheryl: What to do with Unwanted Wedding Gifts? 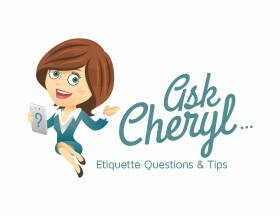 In this week’s AskCheryl question, our bride and groom have established lives and don’t want wedding gifts. 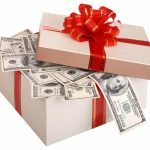 A conflict has arisen on how to handle any gifts that they do receive. My fiancé and I are getting married in July. We are 45 and 51 years old. This is his first marriage but not my first. We have everything that we need and most of what we want. We are placing a note in the invitations indicating that we do not want gifts, just come and help us celebrate. How do we deal with people and the gifts they insist on giving despite our request? My fiancé says he’ll send it back to them or just not cash their check. I’ve told him that would be insulting and rude and we should just graciously accept and move on. What say you? I say you are 100% correct. 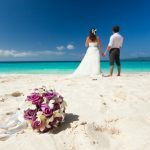 While it’s understandable that you have all that you need and want, it does not take away from the fact that your friends and family will feel the need to celebrate your union with a token of their love and support. There is a long-standing tradition in our country of extending well wishes to a wedding couple with a wedding gift. Even though you will try to let your guests know that you don’t want gifts, there will be those that will not be able to resist. Those who choose to give you a wedding gift are only trying to show that they care about you, so their gifts should be accepted with grace and sincere thanks. To refuse the gifts would not only be an insult to the gift giver, it could hurt their feelings. Please explain to your future husband that giving a gift can bring joy to the giver. Accept any gifts and write and heartfelt thank you note. That is the best course of action. I wish you all the best and a very happy marriage! If you have questions or comments about gift giving, baby shower, or wedding etiquette, please comment below or email AskCheryl@RegistryFinder.com. Emails in this column are received from readers. Emails may be edited for spelling, length and grammar, or to remove sensitive information. However, we are careful not to alter the intent or content of the question. Cheryl Seidel is the founder and President of RegistryFinder.com, an intuitive search engine that helps gift givers quickly and easily find online registries for weddings, baby showers, graduations and more.